Sash windows in Glasgow, utilising Southside Windows Vertical Sliding Window system, is designed to incorporate all the desirable traditional features of timber sash windows, yet with all the additional benefits and conveniences of modern UPVC Windows in Glasgow. The Southside Windows Vertical Sliding Windows are the most distinctive and authentic-looking uPVC windows in Glasgow and available on the UK market. Superbly engineered and of exceptional quality our Southside Windows sliding windows will add real style to your home, without sacrificing performance. You will still experience the benefits of noise reduction, low maintenance, safety and security and energy efficiency (our system can achieve an A rating - the highest possible Window Energy Rating). Southside Windows sliding sash windows are designed with all the traditional detailing found in period sash windows, including a deep bottom rail, slim sashes and an optional Georgian bar. Sash windows in Glasgow, with classic-style hardware and fittings and optional decorative horns replicate the traditional timber aesthetics to complete the stunning finish. 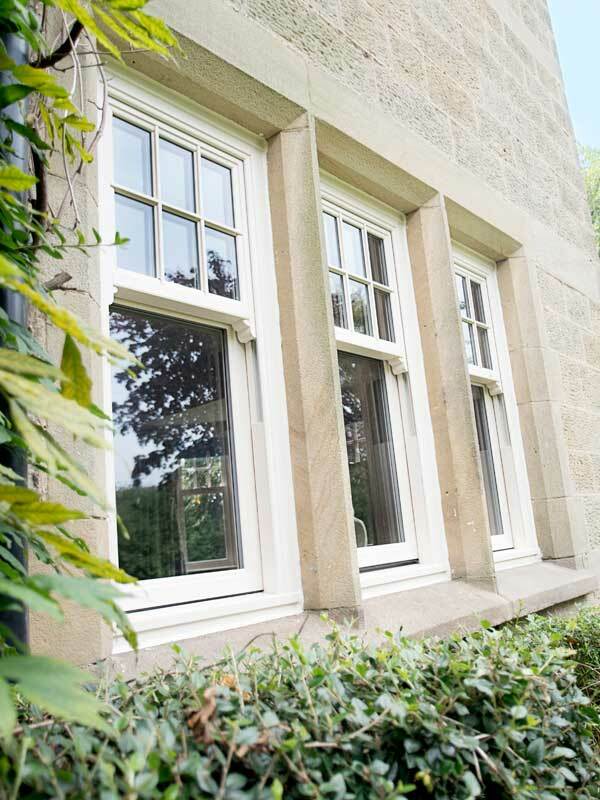 Our Southside Windows sliding sash window system is available as standard in Classic White, Soft Cream, Rich Rosewood or Warm Golden Oak, giving a timeless look to your sash windows in Glasgow. There is also a choice of 25 non-standard laminate options available, including White Ash. The slim sash is designed specifically to replicate the more elegant sightlines of traditional wooden windows. So if you are looking for Sash Windows, UPVC Windows, UPVC Doors, UPVC Doors in Glasgow and also Double Glazing in Glasgow please feel free to contact Southside Window Systems Ltd on 0141 881 9911 or fill out our simple contact form.